Aikido is a martial art for self-defence and self-fulfilment. Aikido brings mind and body together to help realise your potential and provides effective skills for self-defence. At Aikido Brisbane we have classes for adults and for children from 4 years of age. Come in and enjoy a safe, non-competitive and fun environment. 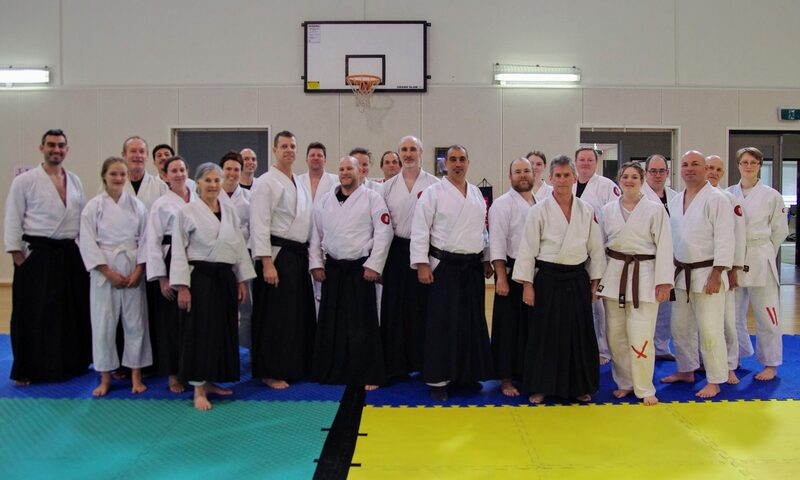 James Moss (4th Dan) has been teaching Aikido in Brisbane for over 10 years, is a certified instructor with Aikido Kokikai Australia and Blue Card holder. Learn more about Kokikai Aikido. Our children’s classes are aimed at building coordination, awareness and self-confidence. Learn more about Kokikai Aikido for kids here. Register for two free classes* and we cater for beginners in all classes. Want to keep up to date with what’s going on at our dojo, visit our news page, or follow us on Facebook.